Have you ever set out to make something and then actually end up making something else that is 100% different and not related to the original plan? That’s what happened this week. I wanted to make a night stand for my side of the bed. My wife reads in bed at night so she gets the side of the bed with the matching nightstand and lamp. I’m OK with that but I’d like to have a nightstand as well. We only have one nightstand that matches our bedroom set so making another sounded like an obvious project….or so I thought. After over complicating every nightstand design I came up with in SketchUp I randomly modeled a small bookcase. That bookcase turned into an angled bookcase. 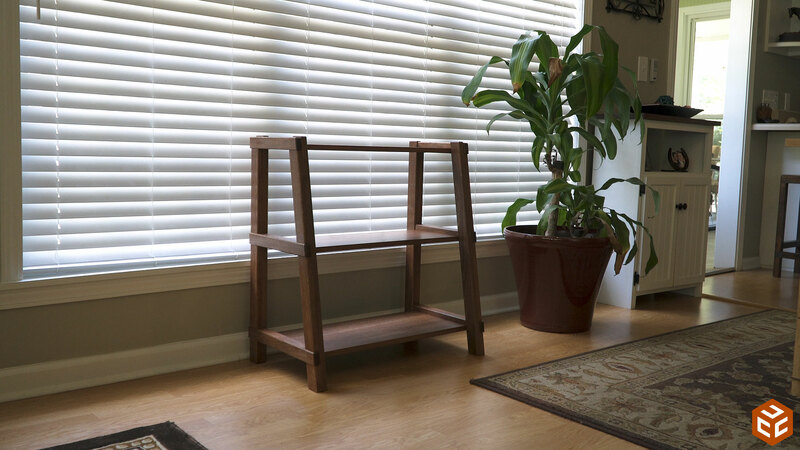 That angled bookcase turned into a bookcase with no sides. That bookcase with no sides turned into a three tier shelf system. 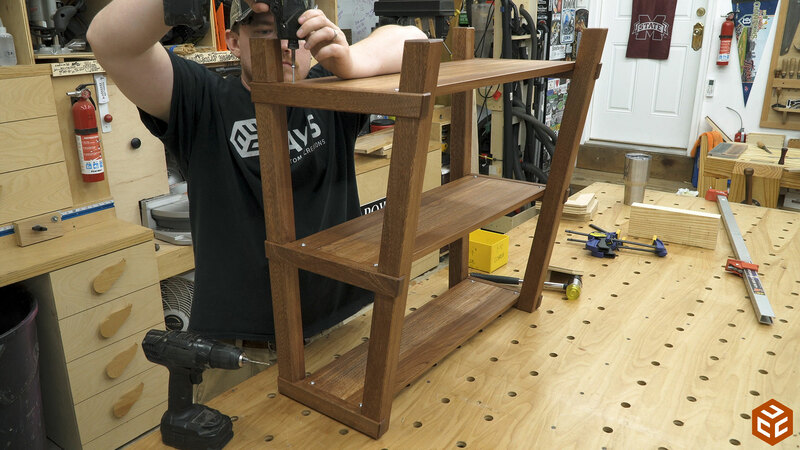 And finally I added some proud half lap joints and thought “hmmm….that looks interesting.” I instantly switched gears and had to knock out this new three tier shelf project. I’m primarily a problem/solution oriented person. My projects are often times solutions to problems. In this case the project was not a solution but rather a random thing I wanted to build. Therefore I had to come up with a use for it. The most logical solution is to use it for all of the smaller plants we will be bringing in during the winter. But until then, or until I build a nightstand, I’ll probably just use it as a nightstand. To make the project I picked out three hickory boards with very few defects. Here’s the design. It’s pretty simple. The back legs are vertical and the front legs are angled 10 degrees to the back. 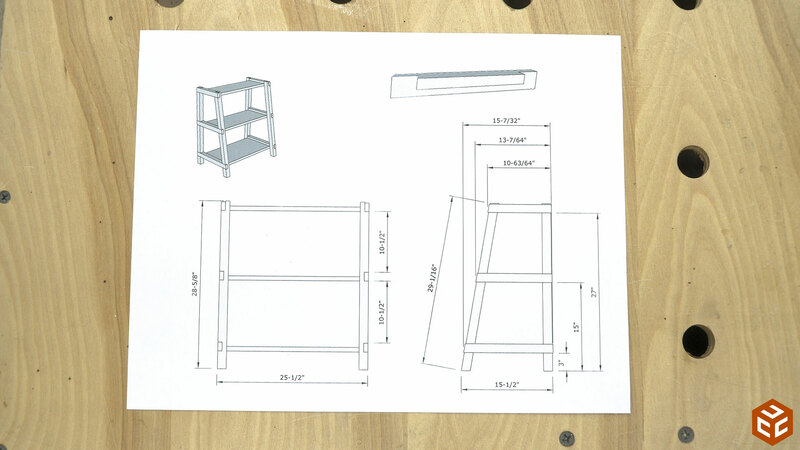 The horizontal frame pieces have a rabbet cut on the bottom inside to attach the shelves from below. 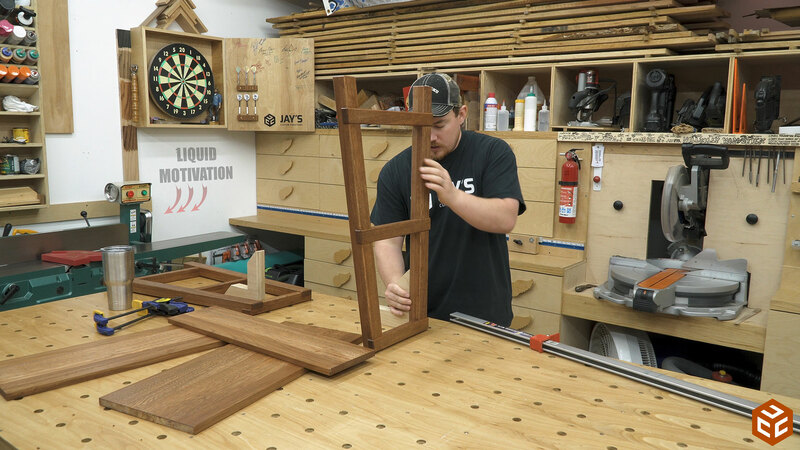 And the entire frame is constructed with proud half lap joints. Simple but yet interesting. As always, the first step in my milling process is to break down my rough lumber at my miter saw station. 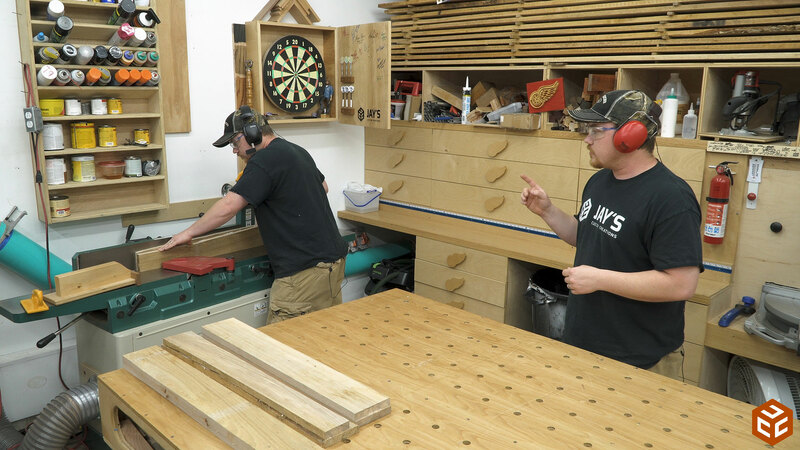 In the video I showed sliding the boards from my assembly table to the miter saw station without lifting them. 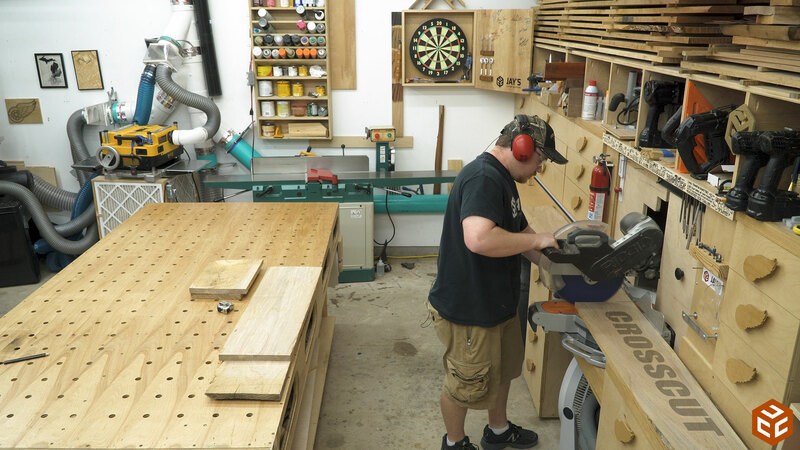 That’s one of the benefits of making all of the horizontal surfaces in your shop the same height. Step two in milling is to make any rough rip cuts that are needed. In this case the boards had a little cup to them and because I don’t need a full width piece from these boards I ripped them down the middle. This will give me two pieces with much less cup to them which will require less waste removal to remove the cup. This image shows the cup I had in the bottom of the board. 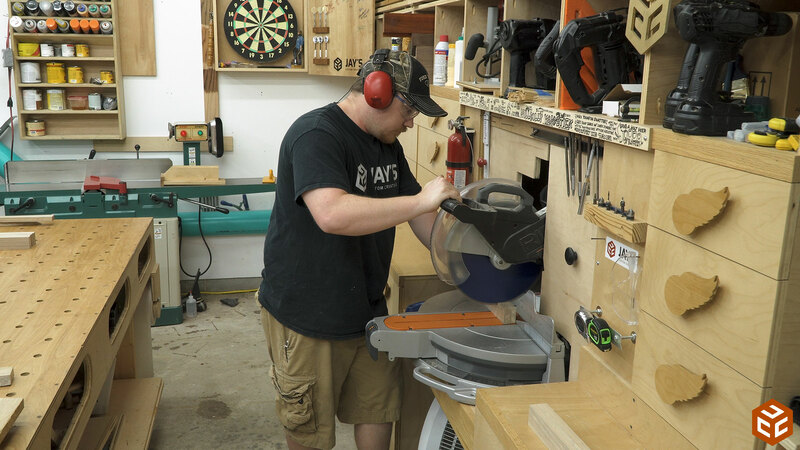 Ripping them on the bandsaw is much safer than the table saw because as the cup is removed the wood can shift into the blade. 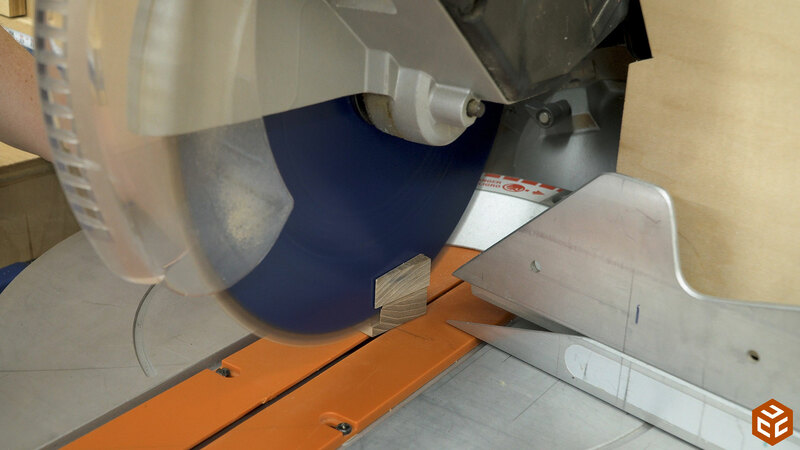 Wood shifting into the side of a bandsaw blade is MUCH less eventful and dangerous than wood shifting into the side of a table saw blade. An alternative would be to rip the board with the cup side facing up but you have a much greater chance of the board rocking back and forth during the cut. Now the smaller pieces can be jointed on one face. Because there is less cup in the smaller sections less material needs to be removed. 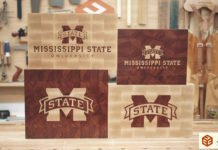 The boards I picked out for this build were kinda “blah” in regards to the wood grain. Nothing special. They actually had a weathered gray color all the way through but showed no structural signs of weathering on the surface. At least the grain was fairly straight. After the jointer I was left with four pairs that needed to be glued together. The rough stock I started with was a smidgen less than 1” thick. For the record, a smidgen is a tiny bit less than a little bit. Gluing two of these boards together would give me thick enough stock for the frame pieces. My goal was to get 1-1/2” square stock for the frames. I only flattened one face on each piece before glue up. The meant that after the glue up I was left with the most amount of material possible to mill to achieve the 1-1/2” square stock goal. From the clamps the boards went back to the jointer to square to adjacent faces, to the planer to establish the final thickness, and to the table saw to rip the frame pieces to their final width. 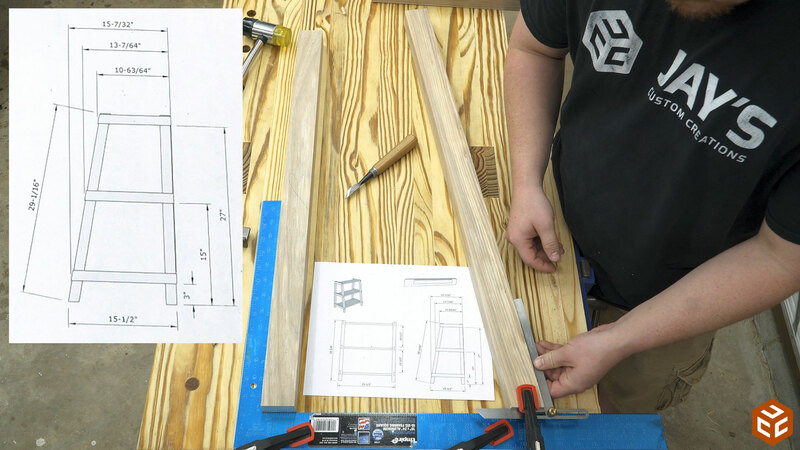 My final frame stock came out to be 1-1/2” square for the horizontal pieces and 1-1/2” x 1-13/16” for the leg pieces. This was perfect. At this point in the video I explained my thoughts on what I call the pyramid principal in regards to dimensioning project parts. The concept is that just like a pyramid, pieces should be larger in size on the bottom and continuously get smaller as you go up the project. It doesn’t have to be by a large increment each time. Even a very subtle progression makes a big difference in the overall feel of the project. In this case my foundation is the legs, then the horizontal frame pieces are a little thinner, then the shelves are a little thinner. Back at the miter saw I cut all of the horizontal pieces to a rough length and cut the back legs to the final length. The front legs don’t get cut to the final length just yet. The bottom needs to be cut at 10 degrees though. This is my setup for laying out all of the joints. 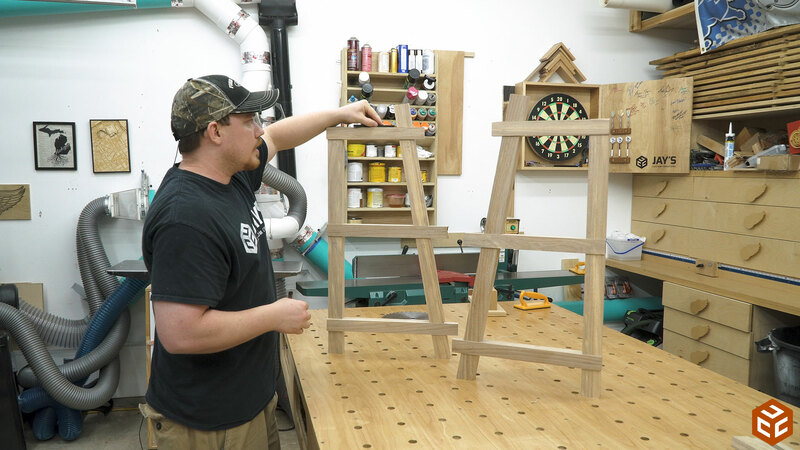 I clamped a large square to my workbench and used it to reference the floor and the vertical back leg. Then the front leg can be positioned and lightly clamped down so that it is in the correct orientation to the back leg. Then it’s a matter of very carefully positioning the horizontal pieces in place and using a marking knife to layout the exact location of each joint. It’s also very important to not bump the leg pieces during this step. 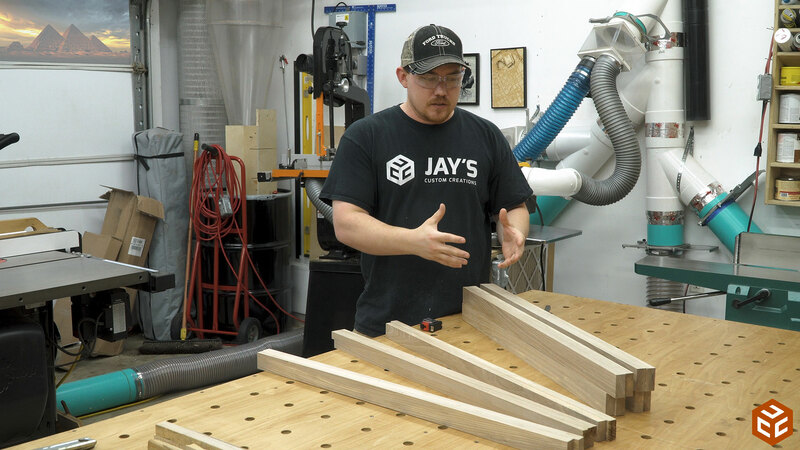 A half lap joint is called a half lap because it laps half of one board over half of the other board. Pretty self-explanatory, right? In this case I suppose you can call it a 7/16 lap joint. I was going for an exposed/proud joinery look which meant all of the joints need to be proud of the surface by about 1/8”. 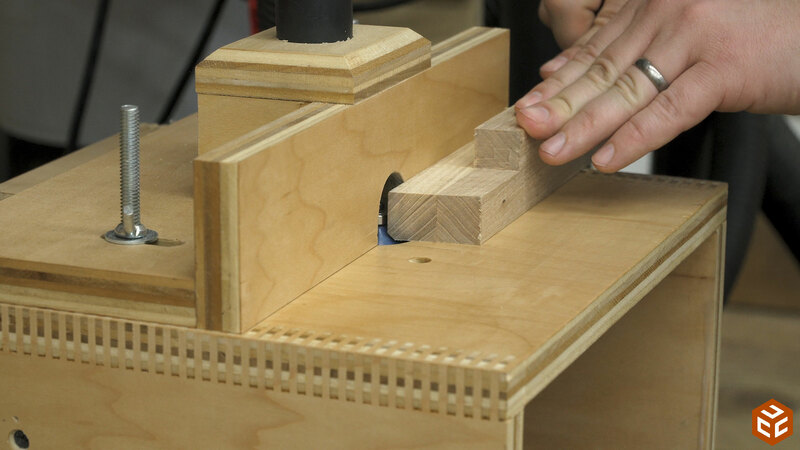 It’s also much easier to set up the dado stack for a joint like this than it is to get perfectly flat half laps. Here’s a tip that I recommend a lot. 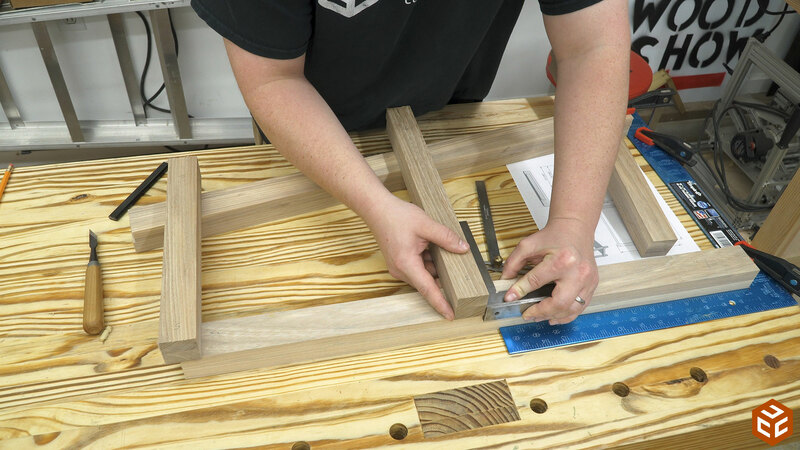 Any time you are using the dado stack and a miter gauge be sure to screw a sacrificial board to the back of a sacrificial fence in-line with the blade. 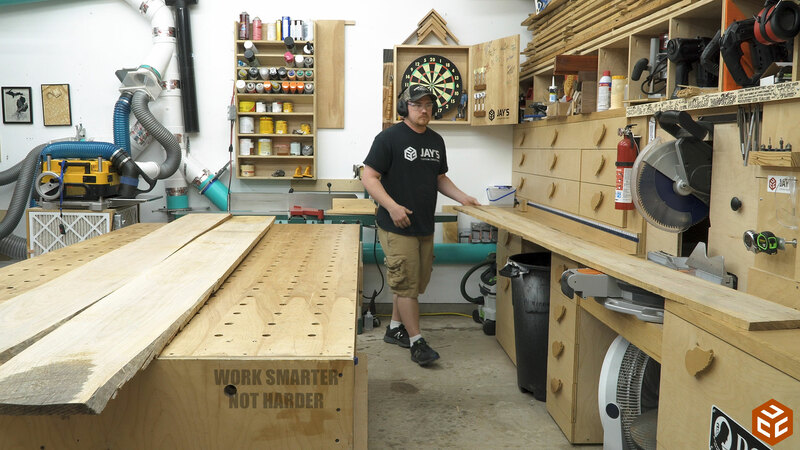 The sacrificial board also needs to be wider than the dado stack. This gives two benefits. 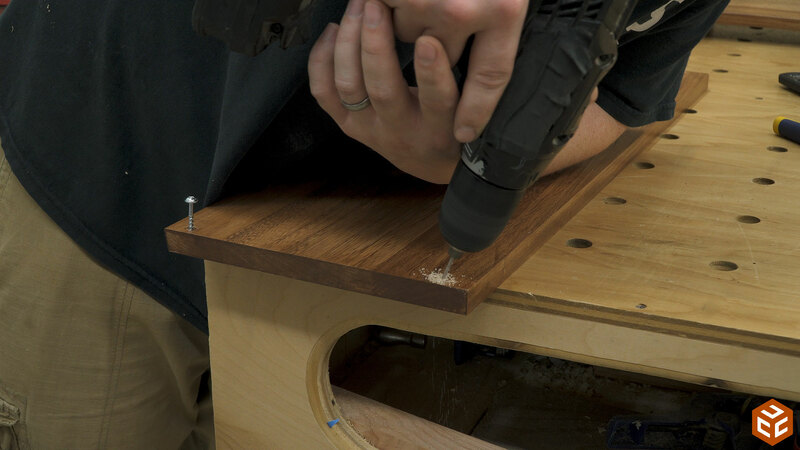 First, the extra board acts as a dust shroud to direct the majority of the dado stack waste below the table surface where it belongs. 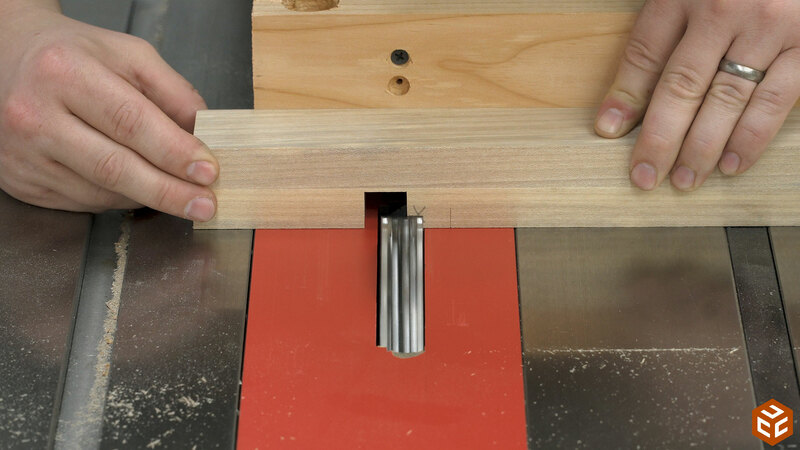 Second, as you complete the cut you are fully encasing the blade in a block of wood which will reduce the opportunity for a dangerous mistake with your hands. Once the blade height was dialed in the joints can be cut. 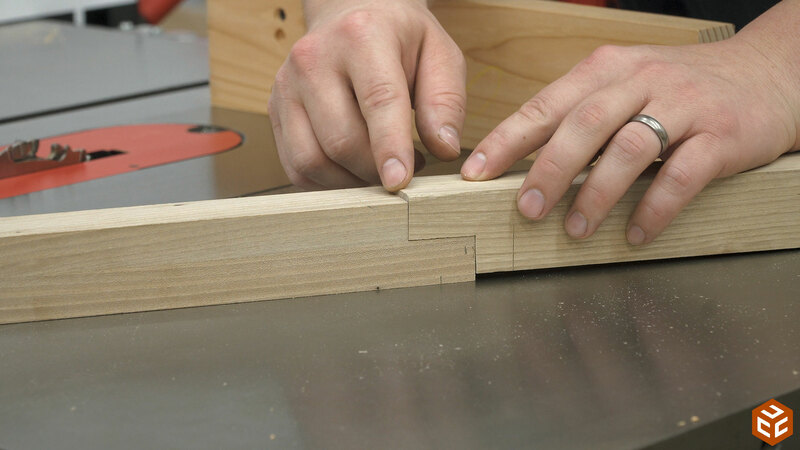 The joints on the ends of the pieces are the easy ones as you only have to worry about one edge. The interior joints require a little more thought. Before cutting them I used my square to extend the marking knife lines a little bit on the adjacent faces so I can see them while the joint is being cut. On the 90 degree interior cuts I introduced the wood into the blade a tiny amount to see exactly where it was cutting. 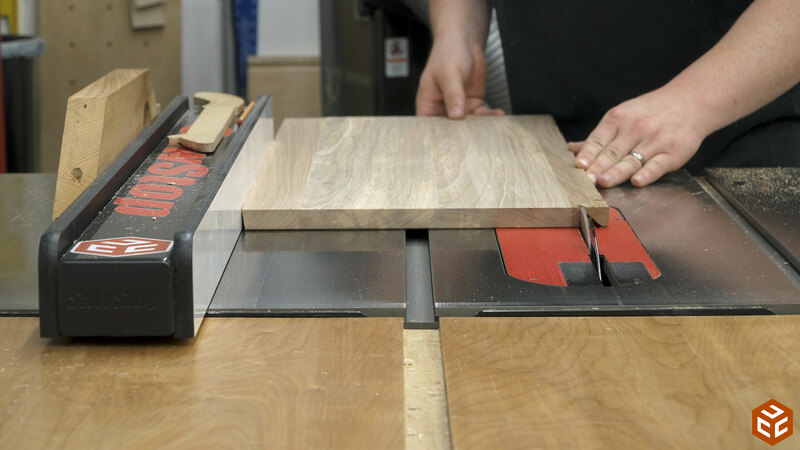 Then the board can be very carefully slid left or right to align the cut exactly with the marking knife line. For the angled half laps I rotated the miter gauge 10 degrees but did not cut all the way to my marking knife lines. 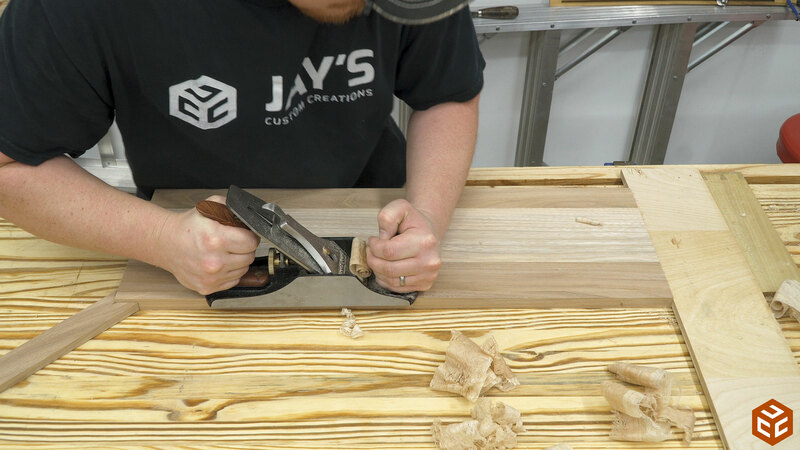 With the bulk of the waste removed it was pretty easy to chop the sides of the joint right on the marking knife line. This just ensures a greater level of accuracy than trying to set a miter gauge to be dead on 10 degrees. At this point the first dry assembly can take place. With all of the joints fitting as they should I used a carpenter’s pencil to mark the appropriate 1/8” overhang on all of the angled pieces. 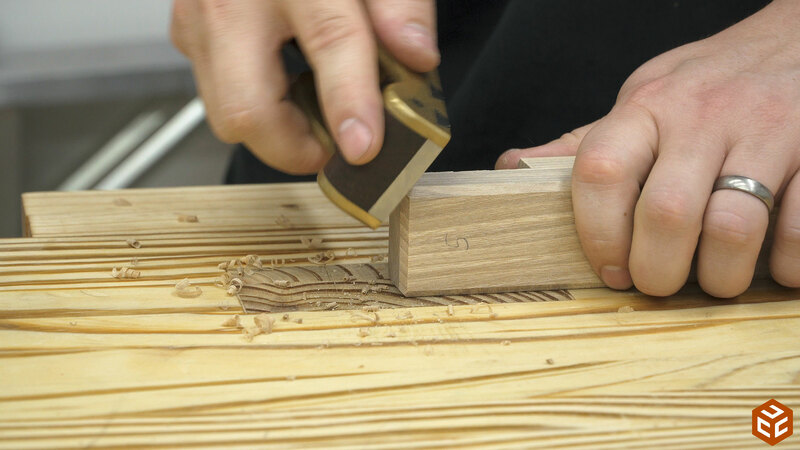 A standard carpenters pencil is about 1/4” thick which puts the center line at 1/8”. The wide, flat face of the pencil allows a lot of reference surface to quickly and easily make these marks. 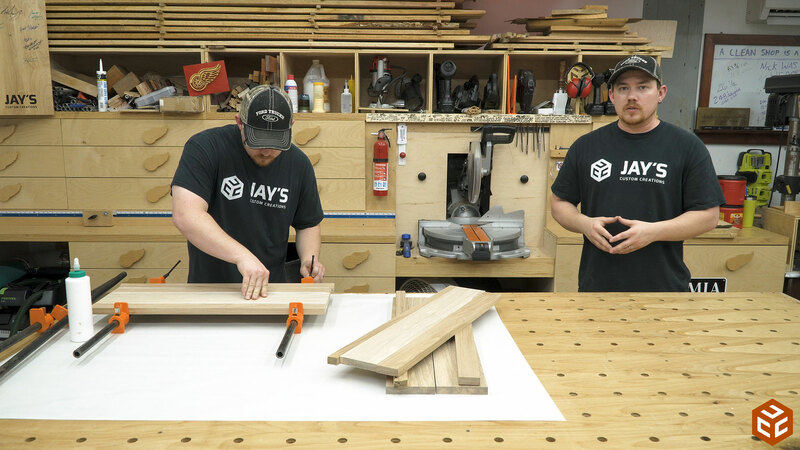 After cutting the angled pieces to their final length every long grain edge on all of the pieces received a 1/8” chamfer on the router table. The end grain edges are too small to be cut accurately on my small benchtop router table. For all of the end grain edges I used a block plane at the workbench. It’s really easy to get consistent chamfers with a block plane. Simply lock your wrist and try to keep the plane in the same area. Use your other hand to position the work as needed. 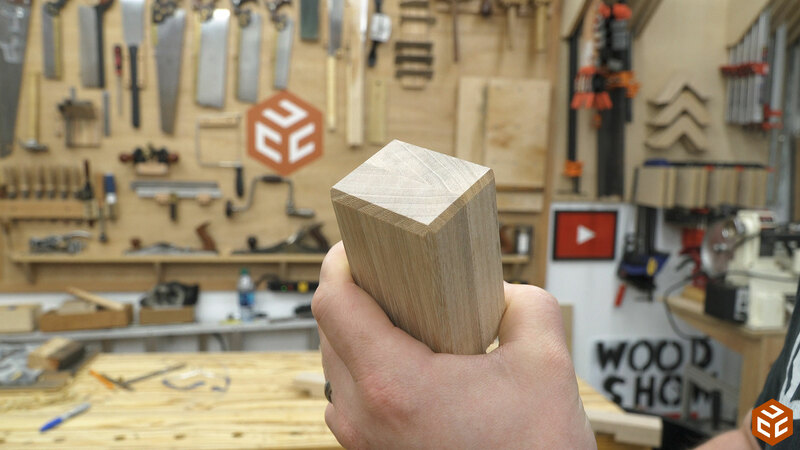 The end result should be crisp, clean chamfers that combine in the middle to form a point. One final step before assembly is to use a smoothing plane to clean all of the long grain faces. 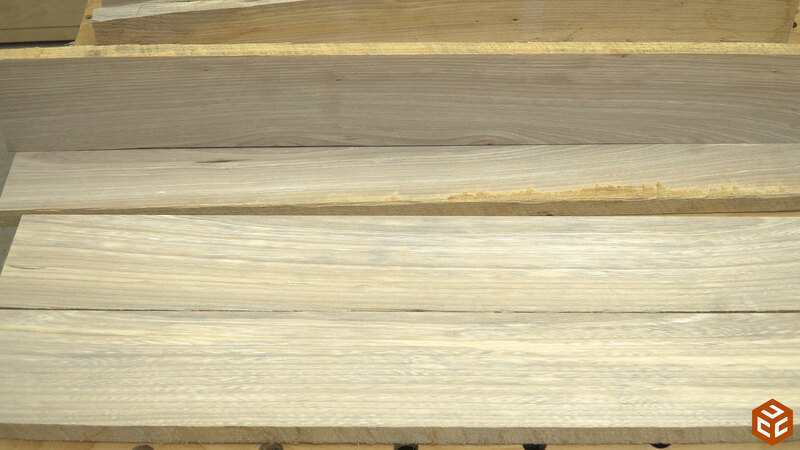 Hickory is really tough wood with grain that sometimes goes in all kinds of crazy directions. 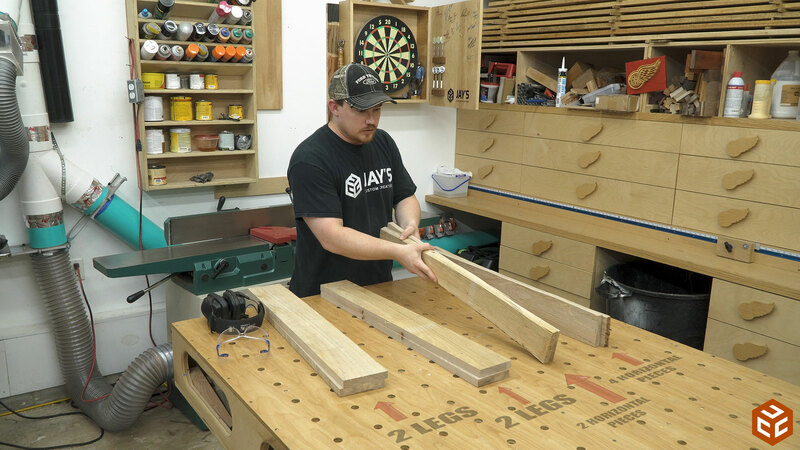 I paid attention to the grain direction while gluing my pieces together to ensure I wouldn’t have any tearout issues when it came to this step. In this case the hickory was no match for a well tuned smoothing plane but if by chance your hickory is changing grain directions too much and tearing quite a bit you can always rely on scraper with a good edge. 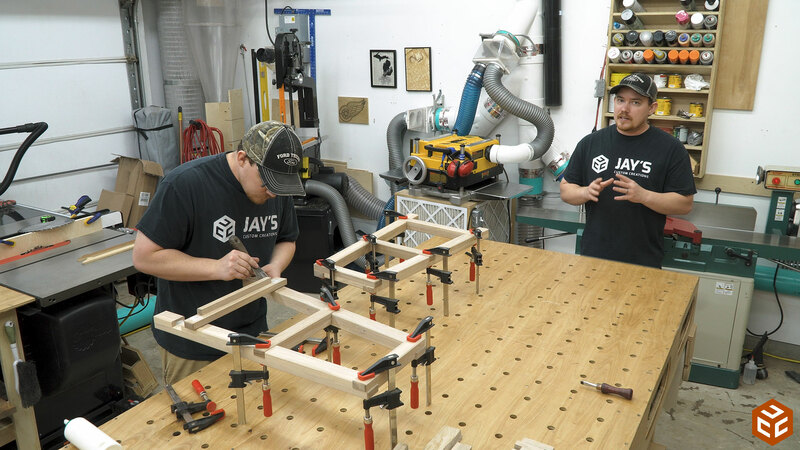 There are a lot of joints to glue up and each joint needs to line up perfectly or the next joint wont close. To remove any guess-work I went ahead and clamped everything together in a dry assembly. Then removed each piece individually, added glue, and put it back in clamps. 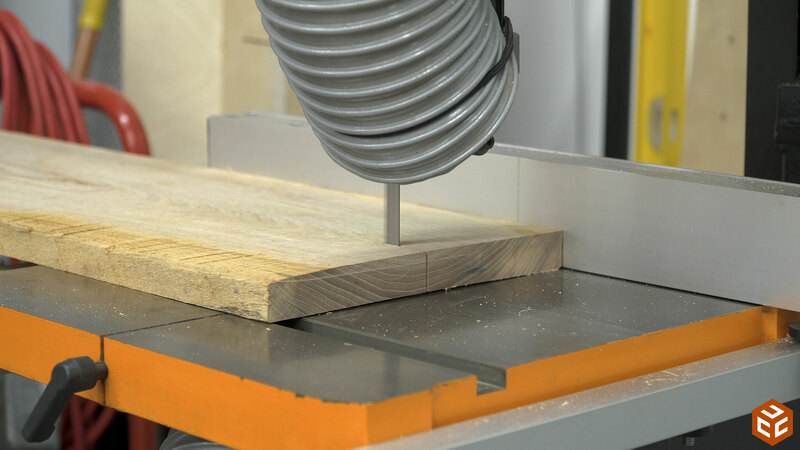 This ensures an uneventful and smooth glue-up process. Which is exactly what you want. With the frame done I started on the shelves. Another round of milling starting at the miter saw. 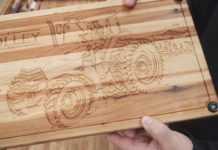 The third and final board was more heart wood than the rest. The reddish brown tones in hickory heart wood were more noticeable in this board so my shelf panels had a bit of color variation. It’s not a huge deal but I would have preferred it all to be closer to the gray color. 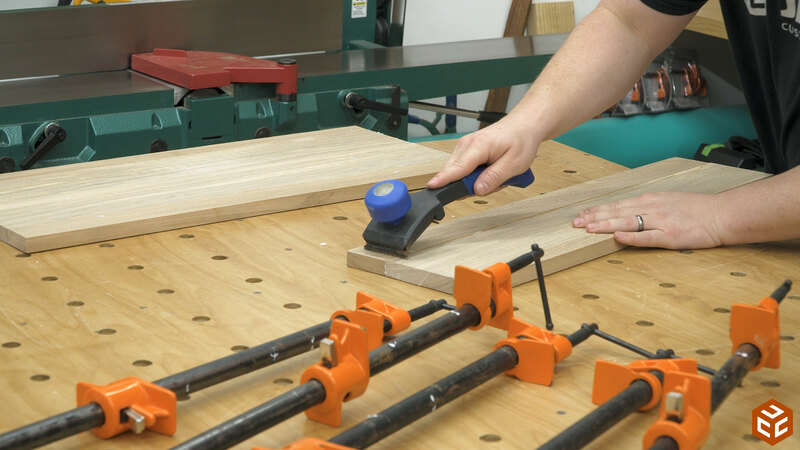 A paint scraper makes quick work of scraping off glue beads after removing the shelf panels from the clamps. Although the shelf panels were pretty close to being flat right out of the clamps they weren’t perfectly flat. I had a little bit of shifting during the glue up. 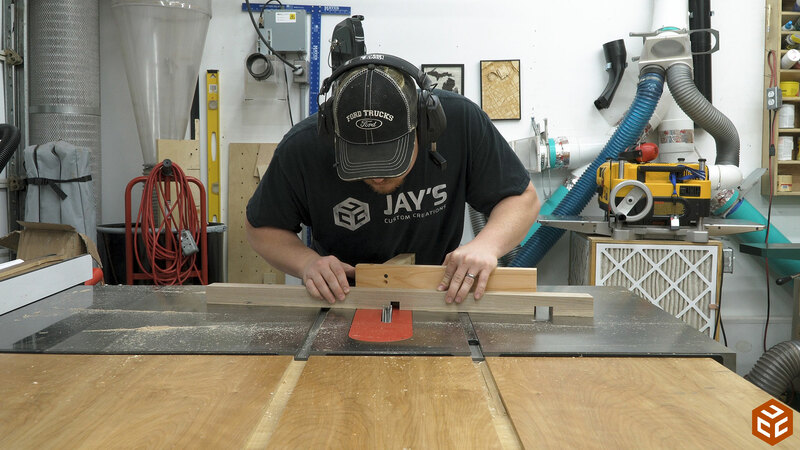 Luckily, the shift was consistent through the entire length of the joint so I was able to get the panels flat again just by using the planer. After the planer I crosscut them to their final length, beveled the front edge of each shelf at 10 degrees, and ripped them to their final width. 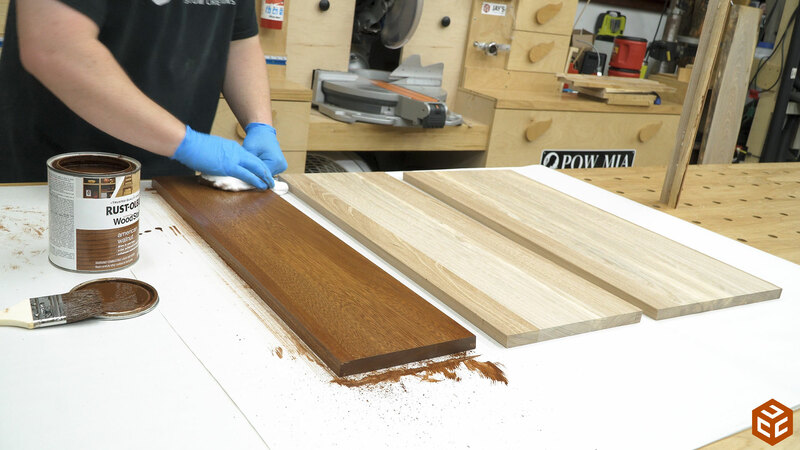 Again, if you take the time to pay attention to grain orientation and arrange everything with the grain going in the same direction you shouldn’t have any problems doing all of your final surface prep with a smoothing plane. 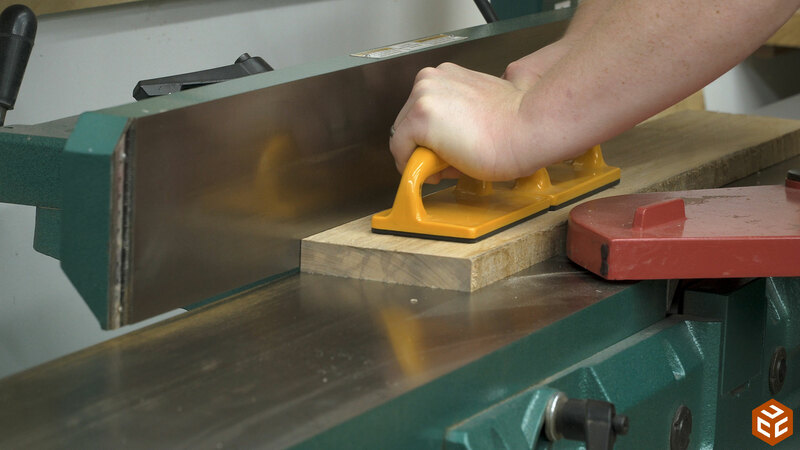 A smoothing plane is a LOT faster than using sandpaper. 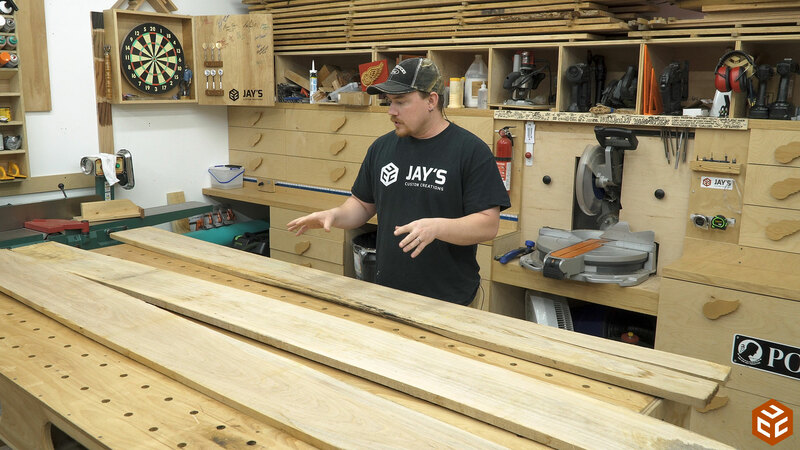 In fact, I didn’t have to sand anything on this entire project….which is a rarity considering hickory was used. 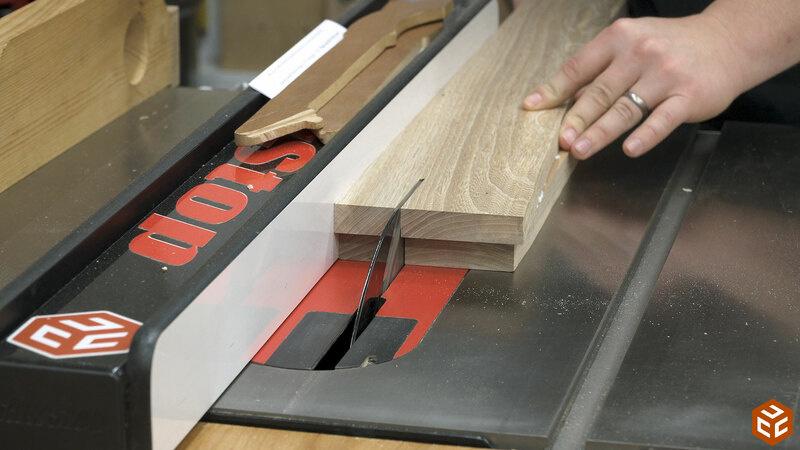 The front beveled edge will be visible so it’s important to remove any milling marks left by the table saw blade. 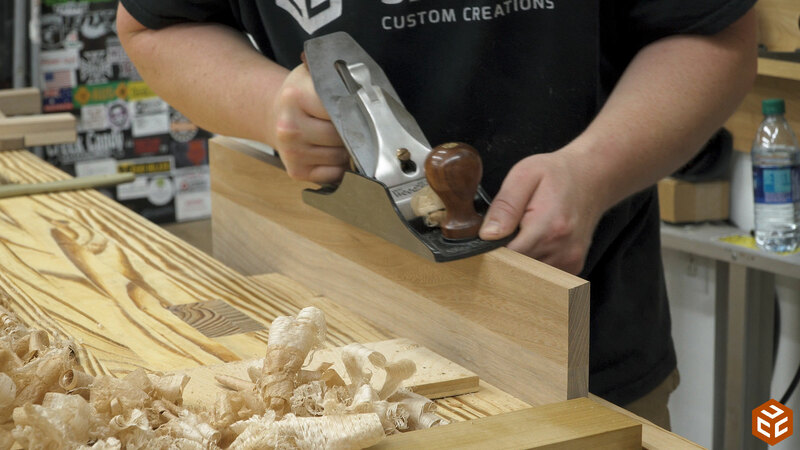 Easy work for a hand plane. Up until this point I had every intention to apply a clear finish and enjoy the gray color of the wood. Instead I randomly decided to apply some stain to an offcut and show my wife to see what she thought. She liked it so I stained the entire project. Happy wife, happy life! 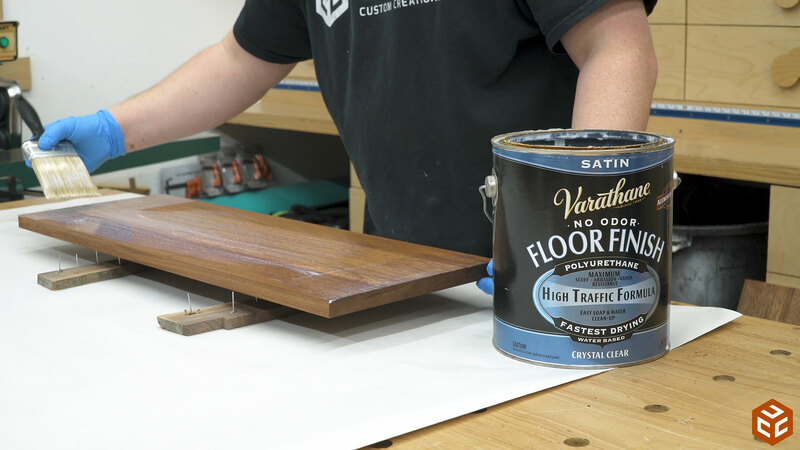 For a finishing top coat I used water based floor polyurethane. I’ve had great results with this stuff. It goes on a milky white but it dries clear. I let all of the pieces sit overnight to cure before the final assembly. There’s not much to the assembly. 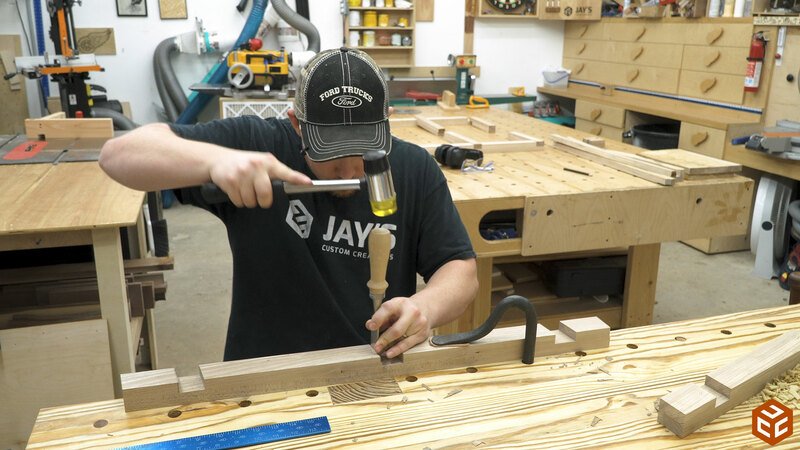 Actually, the most difficult part was finding my homemade corner brackets so I could clamp each leg assembly at 90 degrees to the table. Finally, the shelves can be screwed on from below. After mounting the shelves I removed each one individually and turned the rear screw holes into slots. This is because the solid panel shelves will expand and contract in the front to back direction. I wanted the front screws to pin the shelves so that the front of the shelf would never move and all of the movement would be in the back side of the shelf. And that’s a wrap! A quick, 2 day build that used up some “ugly” hickory. 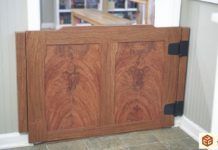 I really like the exposed and proud joinery on this one and the wood took the stain remarkably well. I’ll give it a week before my wife has it filled up with something…. 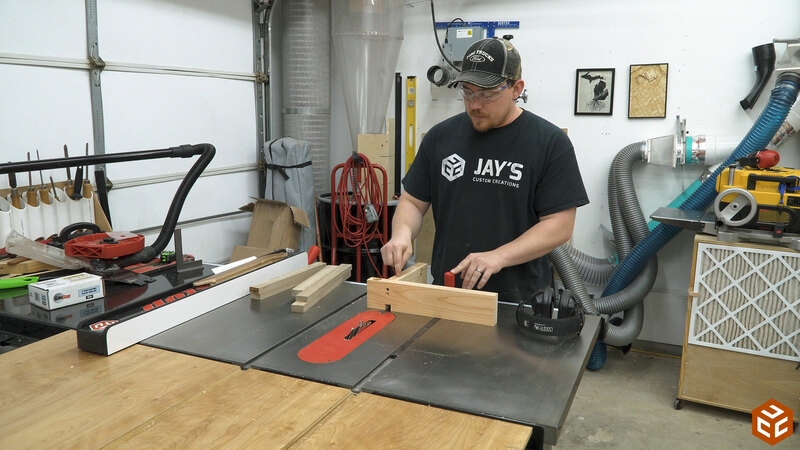 Jay 1 question do you own a drum sander.? 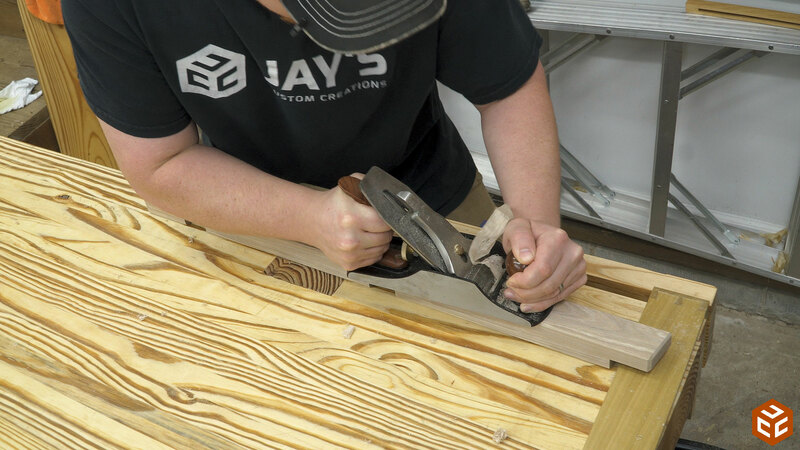 OK Jay you got me, I stop the vid-and-read the note on your band saw fence :-) You know what I just LOL, so no refund necessary. I may try this design and make it a little taller for my wife’s plants she brings in under the patio cover to protect from the frost we get from time to time here in California. Thanks for the great video and project ideas. 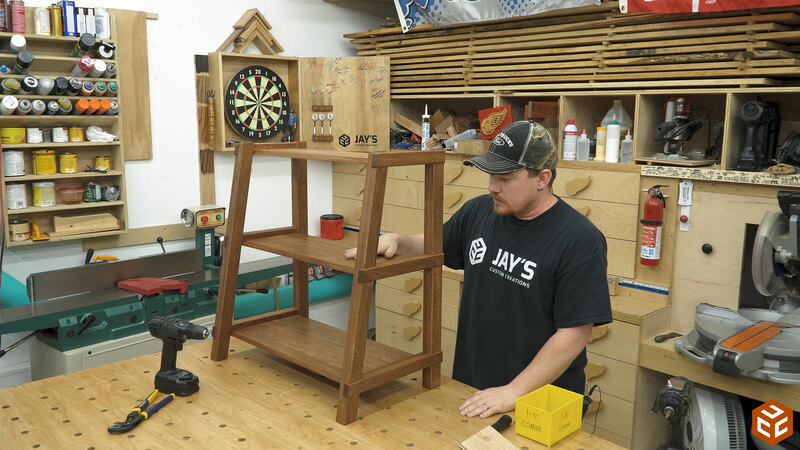 Very nice build Jay and actually would make a very nice piece of furniture instead of a plant stand. Always enjoy your videos, thanks. Always a joy to watch you work, love your editing too. Glad to see your doing well. Nice project ! I too have many house plants. I may have to try this stand…only longer. Excellent as always. The step by step narrative always gives insight to where you might encounter blocks and challenges. I will be making something similar, mounted on top a simple cabinet. My intended use is for bonsai with a cabinet and shelves underneath to to store gardening tools and stuff. I will be making it from wood reclaimed from cable reels. I need to decide whether to leave the nail and other assembly holes from the reels or to fill them in. I really like this piece. It took me a long time to get the Sketchup right, but I do plan to build it (with pine, I’m not good enough for hardwood, at least not the first one I try). Thank you! I enjoy the way your video’s are presented.